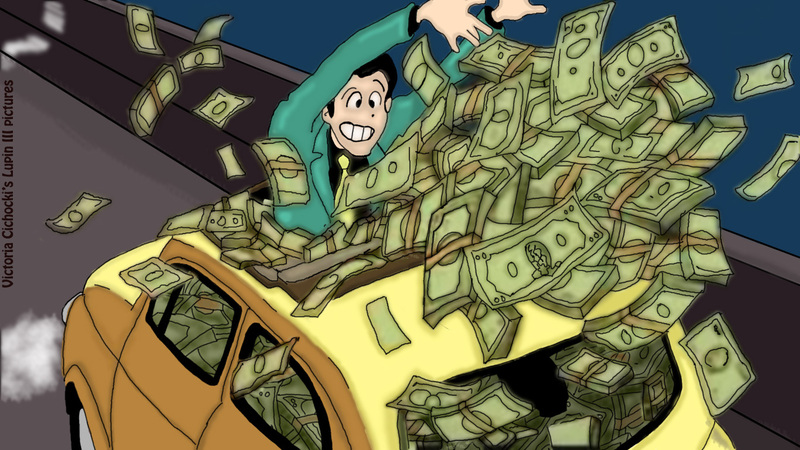 I love this character, back from the days when japanese cartoons were cool and not annoying, and when the style was not overdone. I decided to make some wallpapers based on my fave parts of the film as I couldnt find any decent ones on the web. I got my favourite screen shots fom the film and then drew over them using old faithful (my baby the graphics tablet)I think I was pretty accurate, then I painted them in photoshop so they would look clear and colourful. 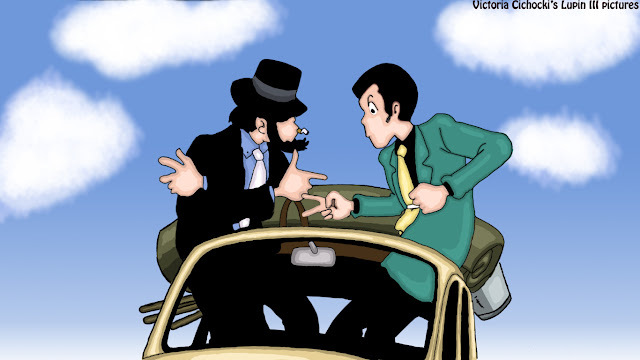 My favourite shot above from when Lupin threw the goat bills out of his car, a classic moment from the film, "the castle of cagliostro"
Lupin and Jirgen (another wicked character) play rock,paper,scissors to determine which of them will change the flat tire, Lupin wins of course. 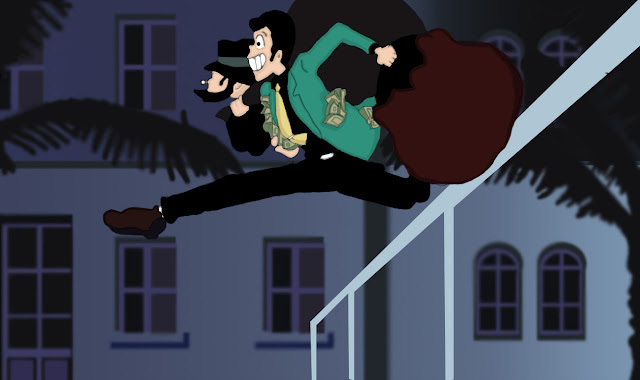 Lupin and Jirgen leap over rails after they rob the casino, watching this part the sound effect as they jump always makes me smile. 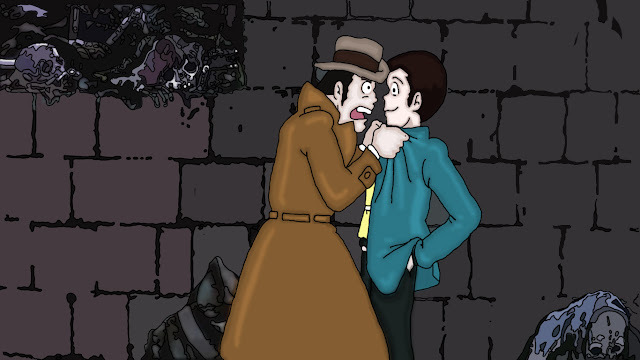 Lupin and pops meet in the dungeon, pops calls him a little weasel but they are both trapped so they have to work together. 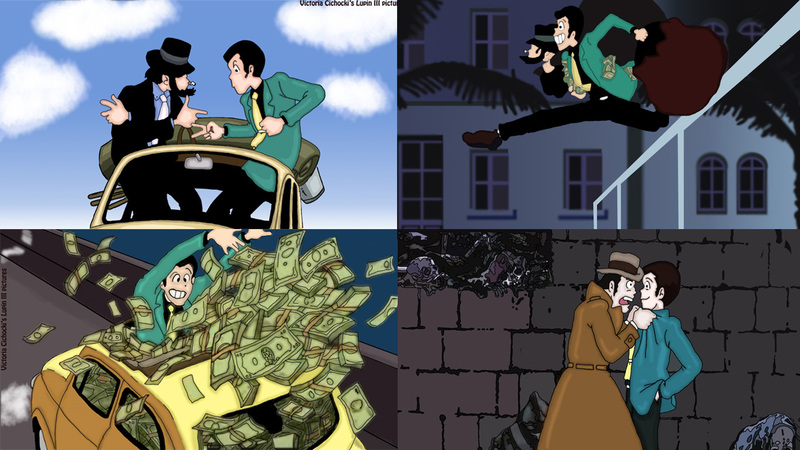 Cant decide? then have them all, in this ultimate wallpaper.